CHP natural gas equipments offers the highest performance. The modules are equipped with MAN engines which are easy to install and have silent-mode operation. Biogas CHP equipments benefit both MAN engine technology as well as the 2G experience in biogas and generators engine optimization for obtaining enhances performances. Syngas cogeneration system produces thermal and electrical energy at a combined high efficiency exceeding 80%. Steam Turbines are thermal machines which have the role of transforming the energy of the steam pressure in kinetic energy. Biomass is the first form of energy used and represents the most spread renewable source on the earth. Trigeneration has become an efficient solution of the future for the production of cold storage space both in the field of provision of services, as well as in industry. For each customer is done, free, a primary investment feasibility analysis for a cogeneration or trigeneration system, on the basis of the data we receive. B-Team Energy and Environment colaborates with the leading designers engineering companies in Romania, companies with extensive experience in the field of energy. Regardless of the size and scale of investment, there is a solution of financing. We provide cogeneration equipment with the highest performance on the market. Only in 2011, more than 800 cogeneration equipments were installed in Europe by 2G company. Both during the guarantee period and after that, we put at your disposal, the necessary spare parts. B-Team Energy and Environment represents one of the B-Team Consult and Services group's division and has a full range of specialized high efficiency services and equipments. B-Team Energy and Environment encourages communications and collaboration in a honest, efficient and constructive dialogue with its partners. Do you have any question? We offer you a set of frequently asked questions that come to us. In case you don't find the response of your questions, contact us! Home > News > Atentie! Pentru cei care desfasoara proiecte de cogenerare! Atentie! Pentru cei care desfasoara proiecte de cogenerare! 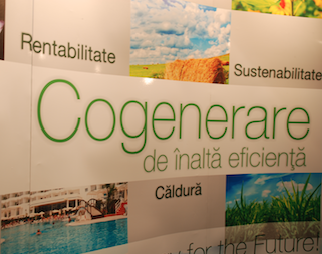 Gaseste ENERGIA de care ai nevoie la standul B-Team Energy and Environment – harta aici - , la Expo Arad International! Fa echipa buna cu noi si vino sa ne cunosti la Targul de Energie Regenerabila de la Arad. Povesteste-ne despre ultima ta experienta in domeniul cogenerarii si noi iti oferim una noua, plina de beneficii, proiectata in functie de prioritatile tale. Ne gasesti la standul B-Team Energy and Environment - harta aici - in perioada 6-8 martie, orele 9.00-18.00. Compania noastra este specializata in realizarea proiectelor de cogenerare si trigenerare de inalta eficienta, pe gaze naturale, pe biogaz, turbine pe abur si centrale pe biomasa. Iti pregatim un loc la masa noastra din cadrul standului B-Team Energy and Environment - harta aici - pentru a discuta despre subiectele care te intereseaza. Ne vedem miercuri, 7 martie la un coffee-break special - harta aici - , intre cele doua sesiuni a conferintei “Biogazul. Tehnologii de obtinere si importanta acestora pentru dezvoltarea durabila”, desfasurata in cadrul targului. Te asteptam la Renexpo in perioada 21-23 noiembrie 2012 sa ne cunoastem! What is the guarantee period for 2G cogeneration equipments? Copyright © 2012 S.C. BTeam Consult and Services S.R.L.